Complete this five-page comic download from MakingFriends®.com and Brownies have earned their Safety Award and Daisies have earned the magenta “Respect Authority” petal. 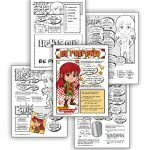 Complete this five-page comic download and Brownies have earned a “Troops Own” badge and Daisies have earned the Red “Courageous & Strong” petal. 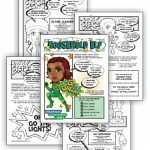 Complete this five-page comic download and Brownies have earned their Dance badge and Daisies have earned the violet “Be a Sister” petal. 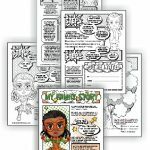 Complete this five-page comic download and Brownies have earned their Household Elf badge and Daisies have earned the green “Use Resources Wisely” petal.